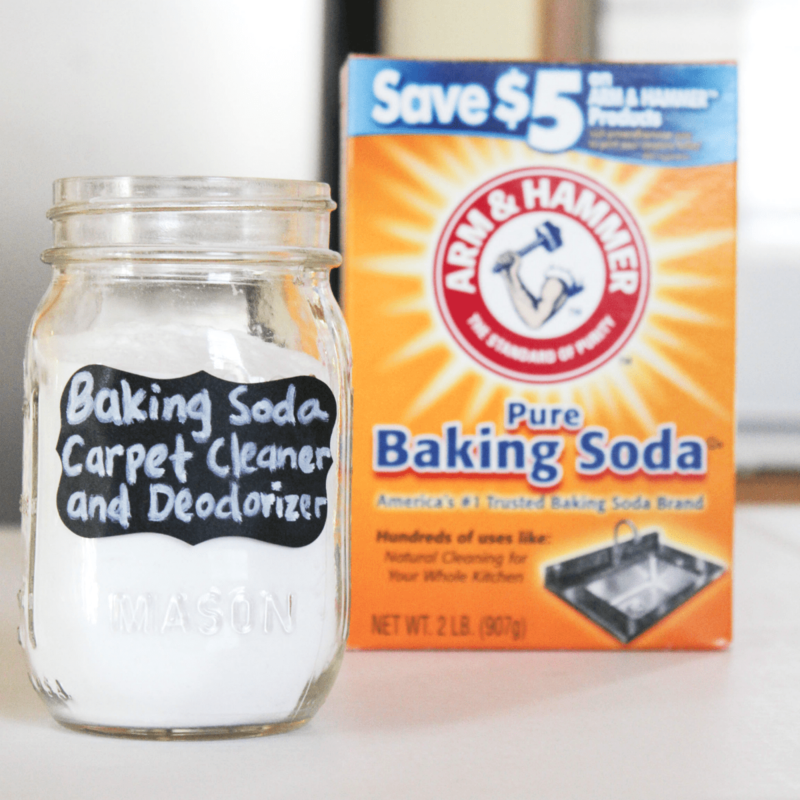 Whether you pull out your vacuum daily or weekly, Baking Soda can be a great addition to helping you get your carpet cleaned and deodorized. 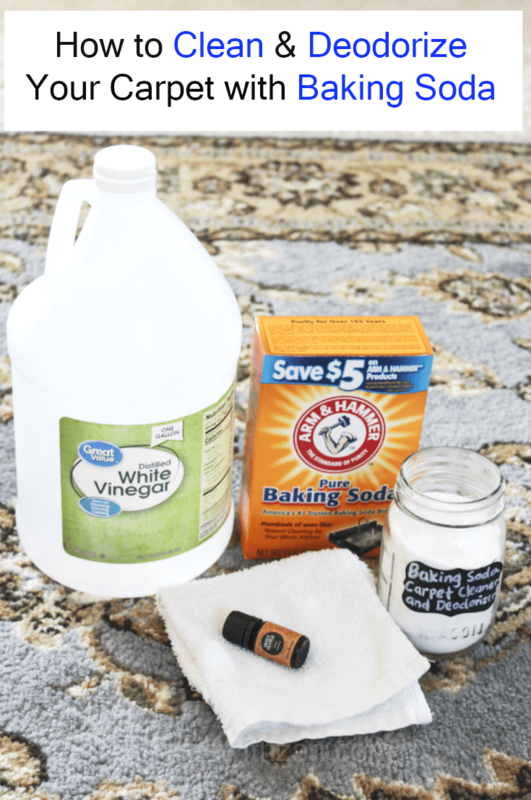 I’ve been sharing some of the natural cleaning products that I use around the house. You can find homemade all-purpose cleaner here. 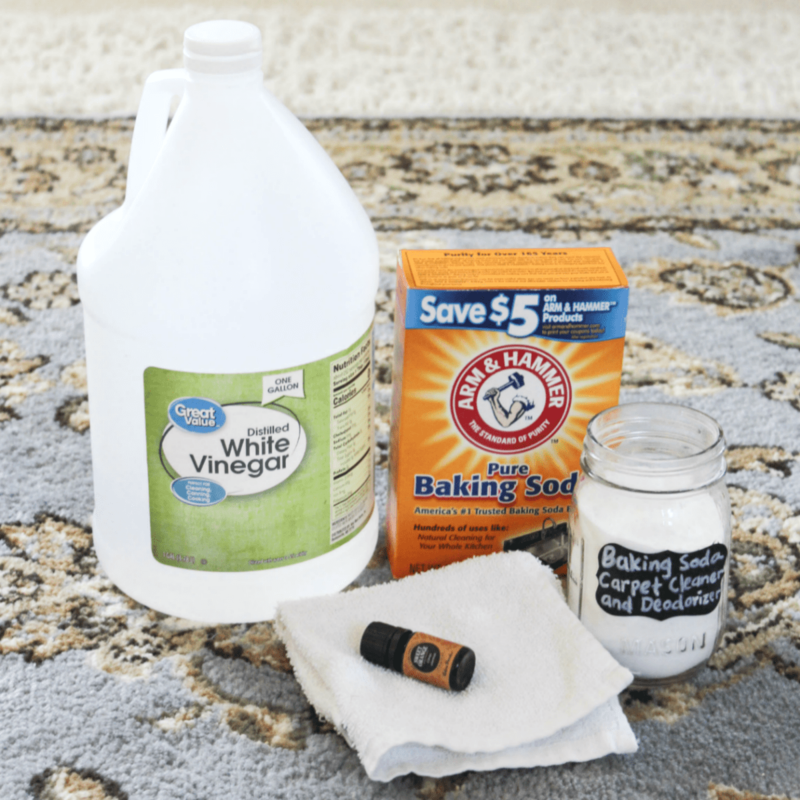 While commercialized carpet deodorizers are not particularly costly and while they smell great, baking soda is an all-natural option for your home if you’re interested in going that route. Plus it’s timeless and most likely, you’ll almost always have it in your pantry. Baking Soda cleans anything from stove-tops, to kitchen appliances, to bathroom sinks, tubs and toilets, to think carpets, and so much more! And you don’t need to research if far and wide because all the wonders of baking soda are listed right on the back of it’s packaging. You don’t have to worry about using it in the kitchen for fear of it getting into things it shouldn’t. Or fear of it affecting little ones. Because if it’s good for cooking, you know it’s got to be safe enough to clean your home. And the best part is that it does not cost much. In fact, I usually spend less than a $1.00 on a small box (sometimes around $00.50 depending on the store). This big box costs around $1.79 or so at Walmart. Tip: I usually buy a big separate box of baking soda to keep in the laundry room, specifically for cleaning. A large box costs less than $2 with plenty of uses from it. This works best if the spill is new rather than waiting for it to dry and cleaning it later. 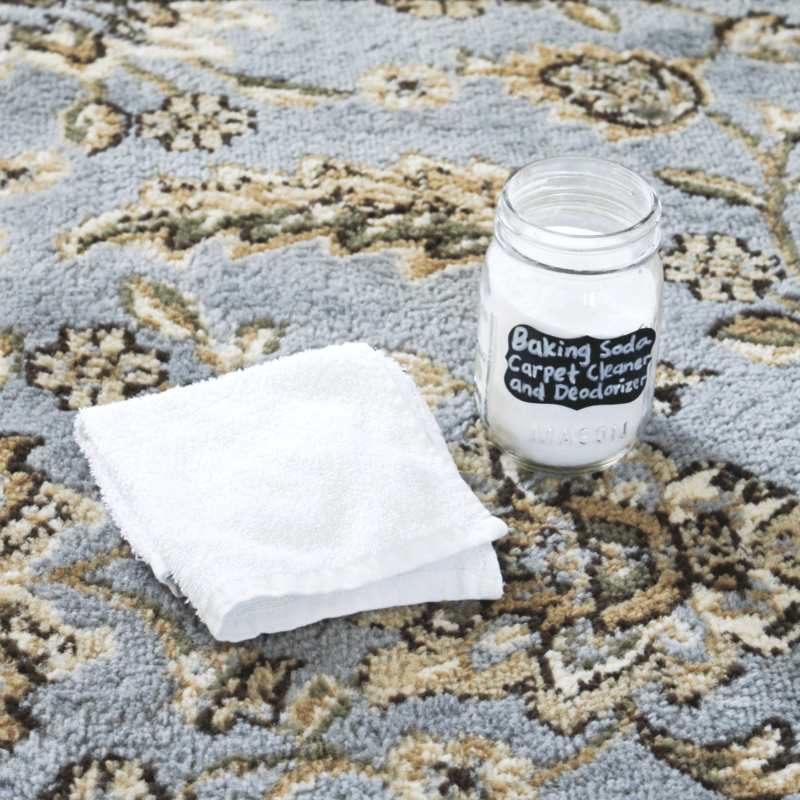 If you have little kids at home who often get dirt spots on the carpet, this can really help. Note: Essential oils are good for cleaning and deodorizing. If you don’t have it, don’t stress. Baking soda does not need any help!! I am not a seller of essential oils neither am I promoting any brands here. I love using them and simply try to find a brand that works well and is more affordable for our pocket. 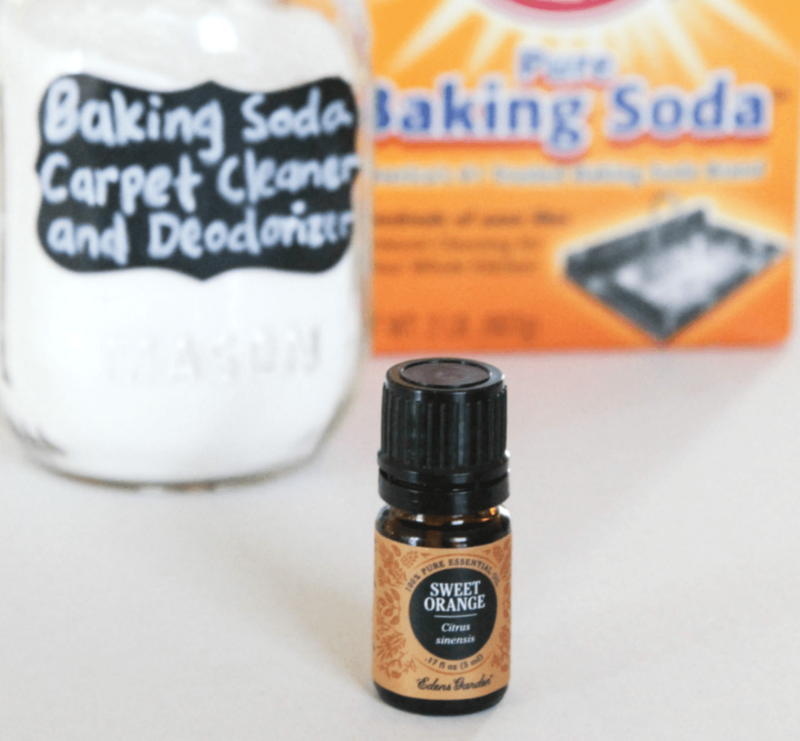 The sweet orange essential oil smells so good – I love love love using it with baking soda to give the floors and the house a nice clean smell!!! Place baking soda in a the jar. Shake the jar until the ingredients have combined well. Cover and store with your cleaning supplies. Sprinkle about 1/2 cup baking over carpet. Use more depending on the size of the carpet. Allow it to sit for a few minutes before vacuuming. It’s as simple of that! 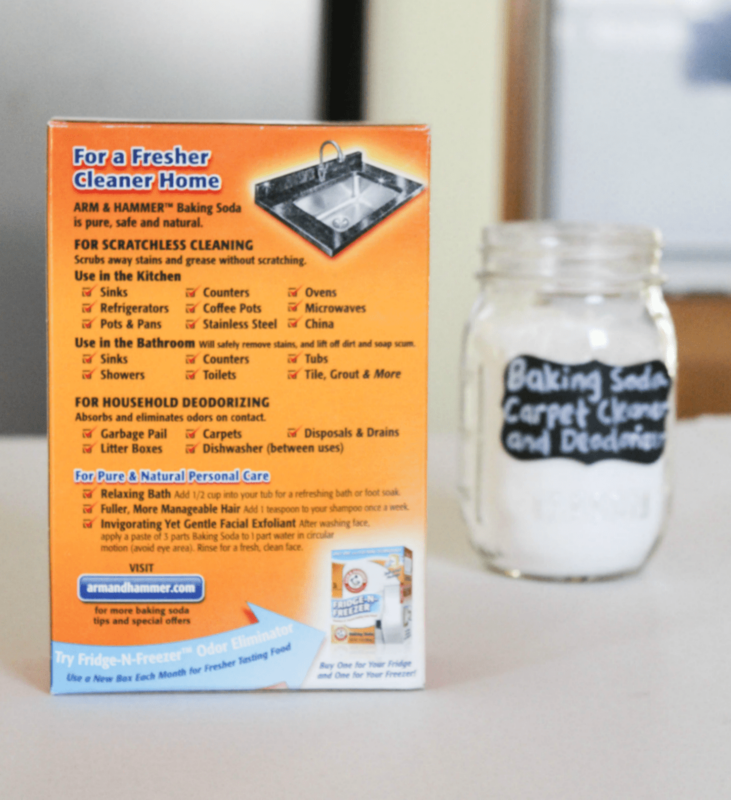 I hope you’ll consider trying baking soda to see how easy and helpful it is for cleaning your home. 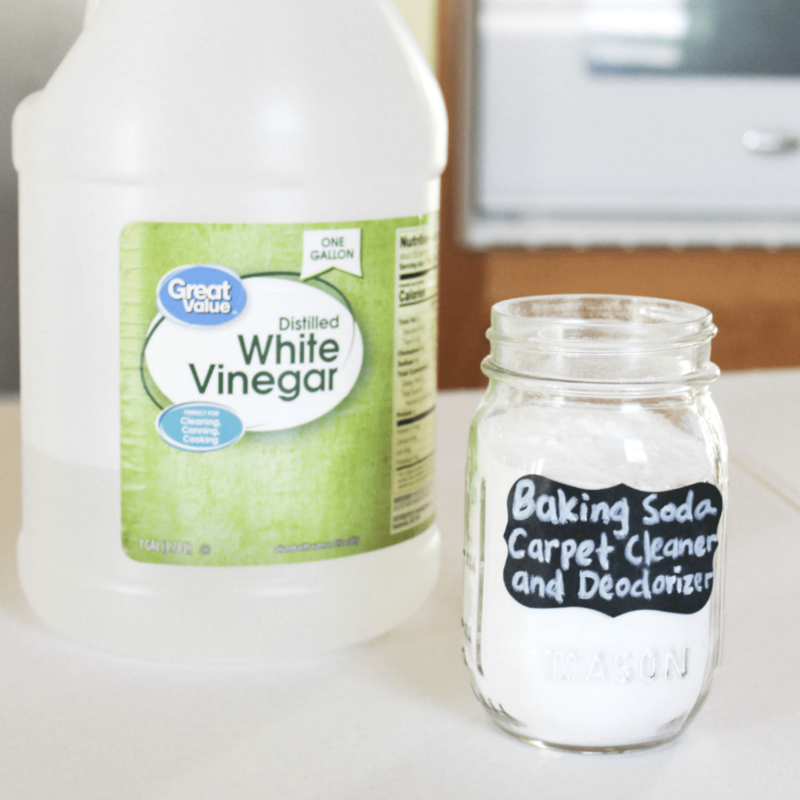 Do you use baking soda for cleaning and deodorizing your home? What areas do you use it to clean?